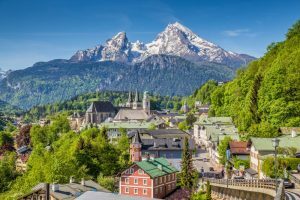 Wreathed in history with jaw-dropping alpine terrain, exquisite cities and a renowned ski season, Austria is a small country bursting with enviable experiences. Delight in Mozart in his home city and sample the delicious coffee and cakes for which the country is so well-known. CLC Alpine Centre waits to give you the warmest of welcomes whatever the season. Within an hour’s drive of stunning Salzburg with its palaces, museums and charming lanes, CLC Alpine Centre is at the foot of the Alps with fantastic winter sports and during the warmer months excellent hiking, biking and laid-back lidos. Winters are usually sunny but cold while summers are warm with cooler evenings. 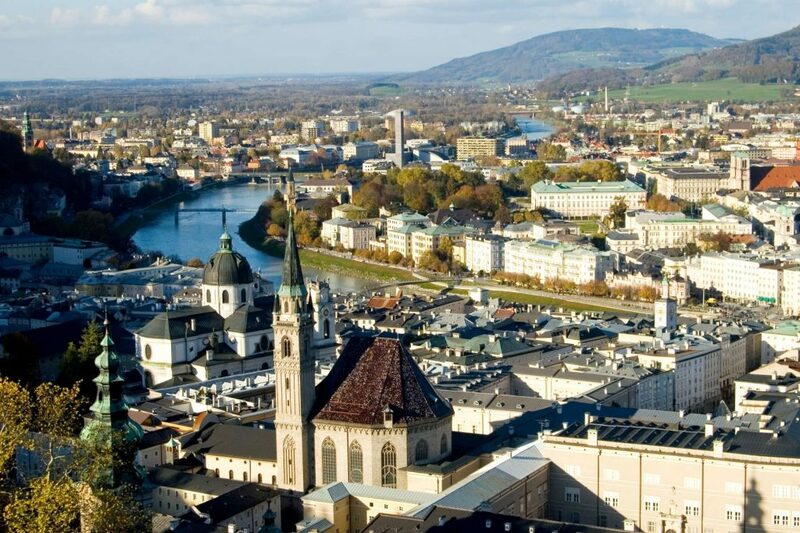 Average flight time from the UK to Salzburg Airport is 2hrs. 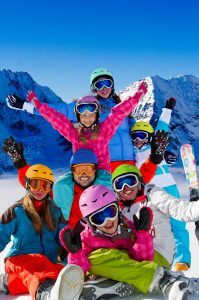 Austrian holidays are great for winter sports enthusiasts and summer culture vultures. Austria moves like no other country through seasons, from urban to countryside, past and present – it’s a waltz through time and space. The winter months with snow covered mountains and crisp days on the piste are well-known, but once the snow and ice have melted a new country blooms. 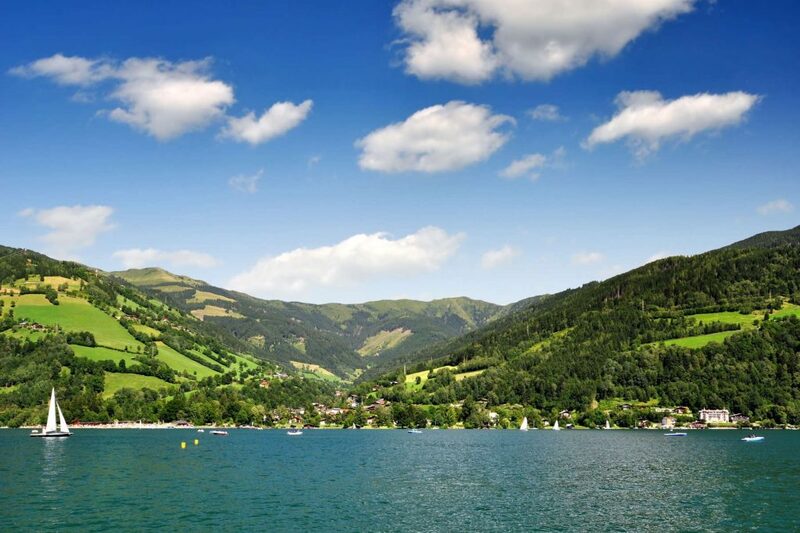 The mountains are swathed in carpets of flowers, the crystal-clear lakes are perfect for boating and swimming and the towns and cities put away their Christmas stalls for outdoor concerts and café culture in the sun. A trip to Vienna, or its sister city Salzburg, is an invitation to join the coffee drinking elite. Nowhere does it quite like Austria, with patisserie windows stacked with delicately iced tortes waiting to be tasted alongside cups of the dark liquid. For dining, there are a number of specialities including Wiener Schnitzel – breaded veal escalope – Tafelspitz, topside beef broiled in broth and served with horseradish and palatschinken, thin crepe like pancakes with sweet or savoury fillings. Complete the meal with rich chocolate Sacher Torte or Apfelstrudel where crisp pastry is layered with an apple and raisin filling. For that all important accompanying tipple, try a crisp Riesling or warm winter bones with a cup of Glühwein. Ice of all kinds draws you to Austria; enter the labyrinth of caves at Eisreisenwelt and discover beautiful ice formations or head to Swarovski Kristallwelten (Crystal World) and pass through 17 Chambers of Wonder. 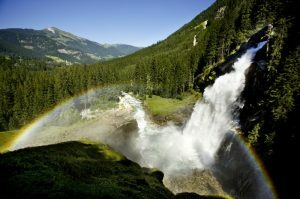 The Krimml waterfall and the Grand Fountain at Schloss Mirabell dance with the light of crystals as the sunlight falls upon their waters. The magic of Austria is at your fingertips when you stay at CLC Alpine Centre. 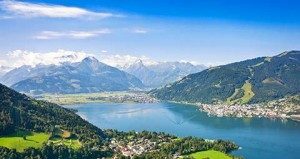 This pretty Austrian town sits on the shores of the crystal-clear Lake Zell at the foot of majestic mountains. 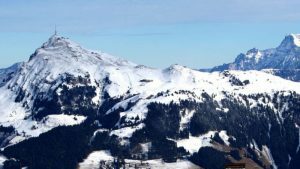 During the summer, lush alpine foothills entice you to hike or bike among the flowers while the winter offers snow covered pistes and fantastic aprés ski. A place of beauty whatever the season, you’ll want to sample its delights. White powder novice, or a black slope veteran? 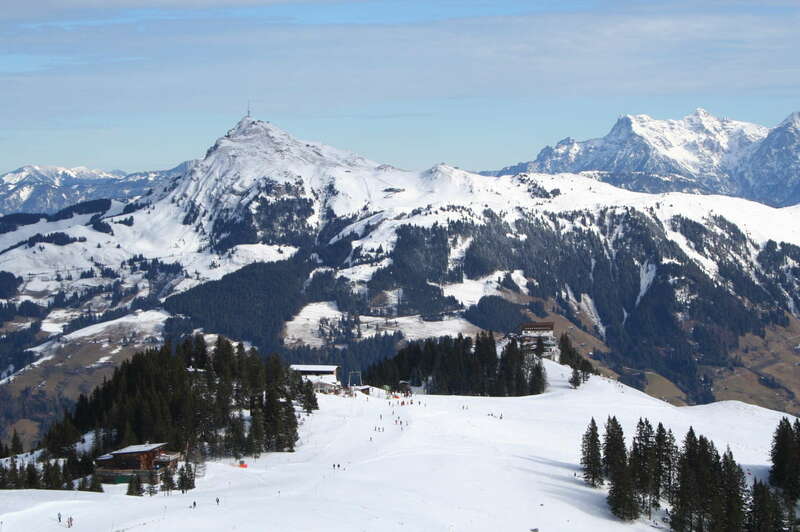 When staying at our Alpine Centre in Austria you’ll be able to find your level with over 200km of ski slopes at the nearby resorts of Skicircus Saalbach-Hinterglemm-Leogang (World Cup Run); Europa Sportregion Zell am See-Kaprun and Hochkönig Winterreich Maria-Alm/Hintertal. 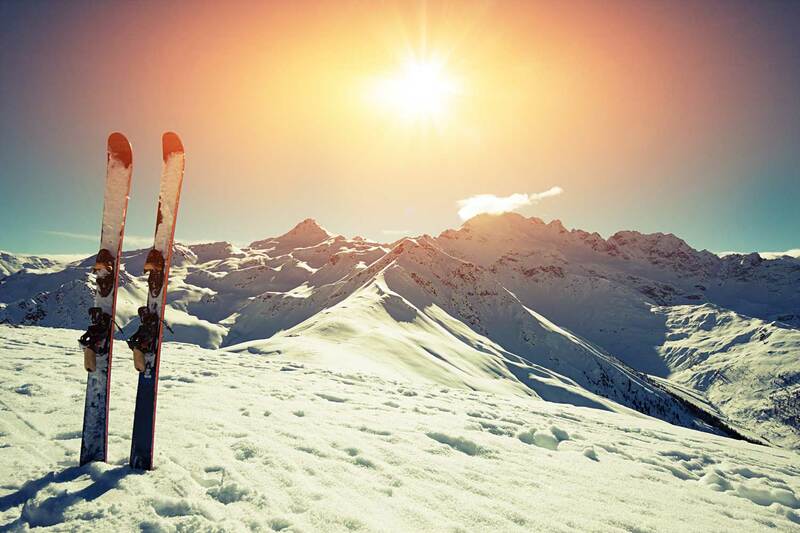 Aside from skiing and snowboarding, every other conceivable winter sport is at your thermal-gloved fingertips, including ice-skating, tobogganing, winter paragliding and cross-country skiing. 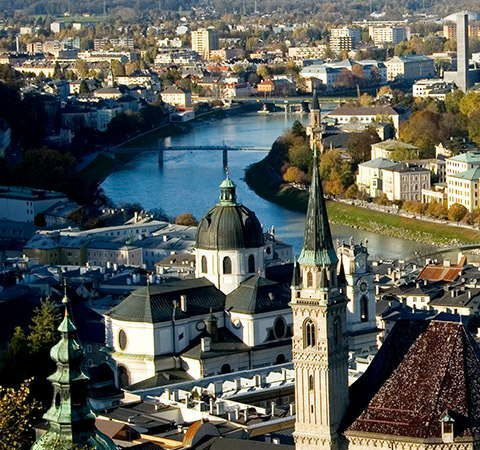 Salzburg has been described as the “northern Rome” with its narrow alleys that open into wide squares, beautiful architecture, castles, palaces and churches. Whether you visit in the summer and enjoy outdoor concerts or winter with snow glistening on the roofs of the Christmas market stalls, you’ll love the unique atmosphere of this city. 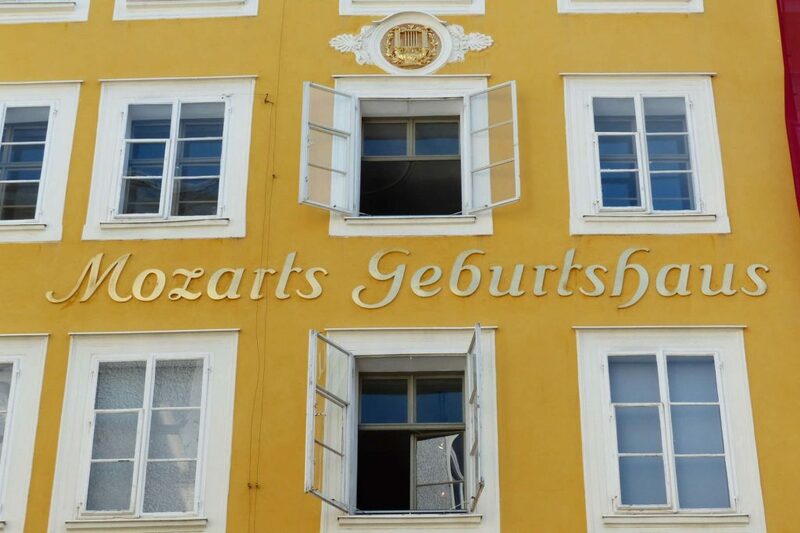 The birthplace of the celebrated classical composer Wolfgang Amadeus Mozart, can be found on the third floor of the Hagenauer House in Salzburg. 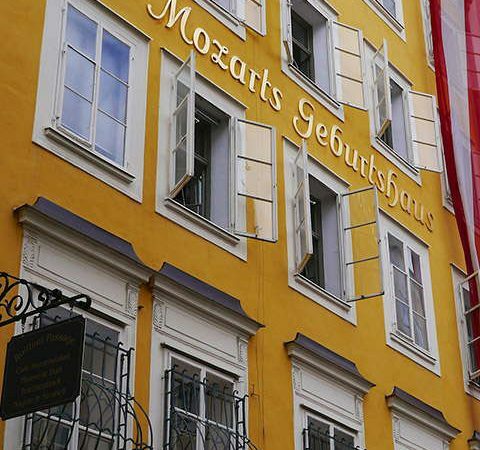 A museum to the life and works of Mozart has been established in the house since 1880 and includes his childhood violin, his clavichord other instruments and letters from the Mozart family. The museum is open daily from 9.00am – 5.30pm. Part of the Hohe Tauern National Park, the Kitzsteinhorn mountain and glacier reaches an altitude of 3203 metres above sea level. The glacier ice never melts, making it a beautiful sight anytime of the year. For the snow-fiends, there are 3 snow parks and Austria’s biggest superpipe, while in the summer it’s a cool place to hang out with music, drinks and snacks at the Ice Arena. 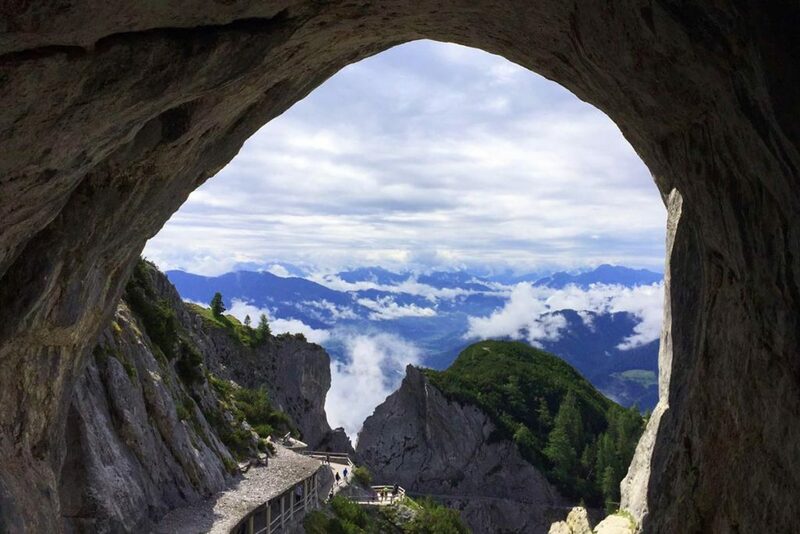 Head out for the day to Bavaria along the famous German Alpine Road to Berchtesgaden. Visit the 500-year-old salt mines and ride into the mountain or take in the infamous Eagle’s nest and the fabulous views it affords. 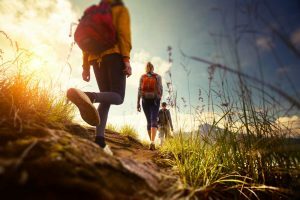 Hiking through the Austrian Alps allows you to get close to nature, meet the locals and take in the traditions of alpine life. Rustic huts and mountain restaurants will sustain the weary and allow you to take in incredible panoramic views. And if you’d like a knowledgeable guide to show you around, we have that too! Eisriesenwelt are ancient ice caves boasting labyrinths and a huge number of halls that combine for a total length of 40 metres. Discovered in 1879, they were largely forgotten but became a popular tourist attraction from the 1920s. The ice formations within the caves are awe-inspiring and well-worth the visit. Open in summer only. Europe’s highest waterfall, with a spectacular 380m spectacular drop is jaw-droppingly awesome. Situated in the Hohe Tauern National Park enjoy the fantastic scenery and if you have a head for it, follow the pathway near the waterfall’s edge.